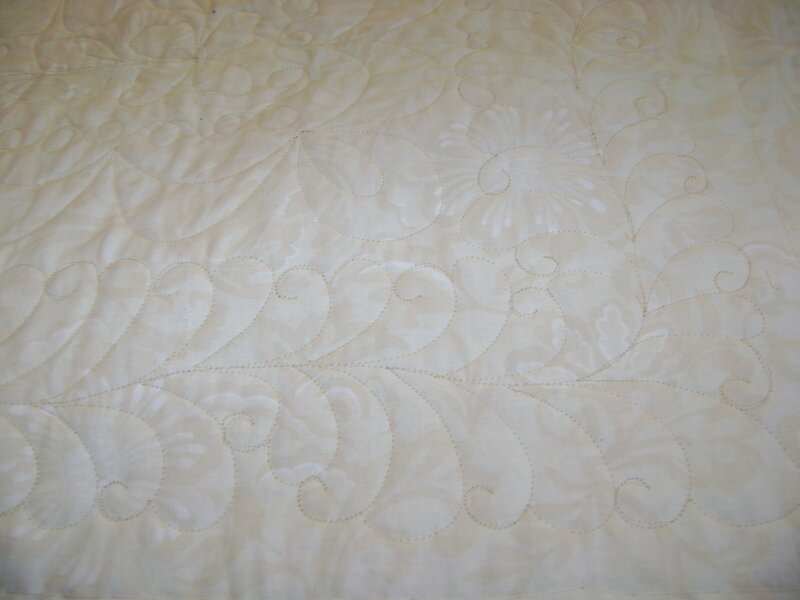 Today’s finished quilt. 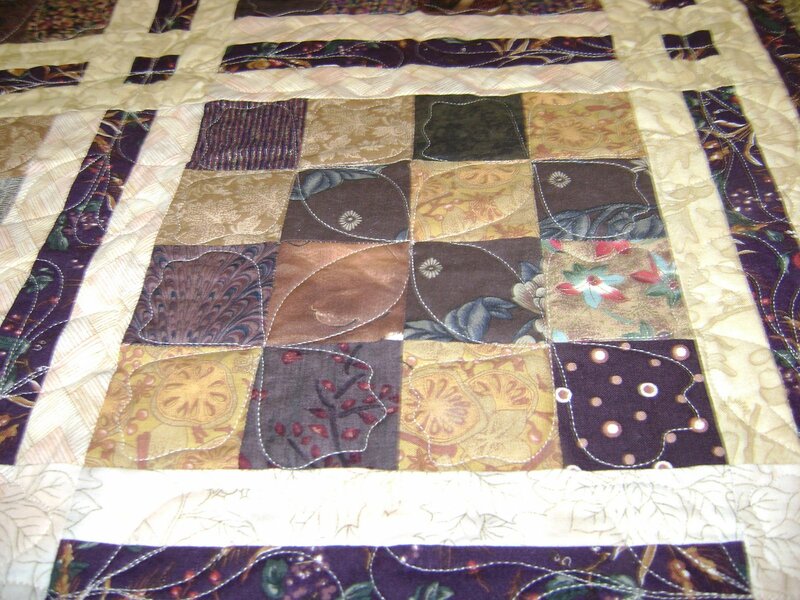 Yes, it was a two day quilt. 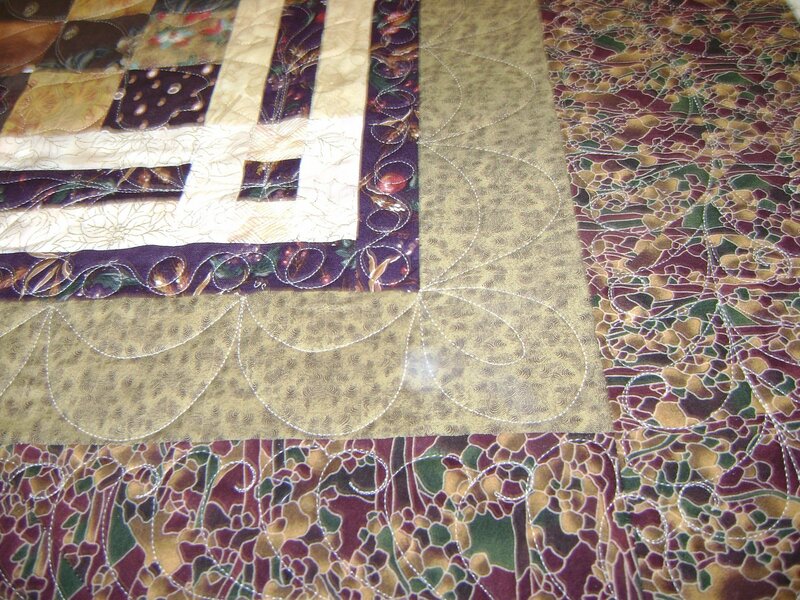 A sort of flower design in the pieced blocks. 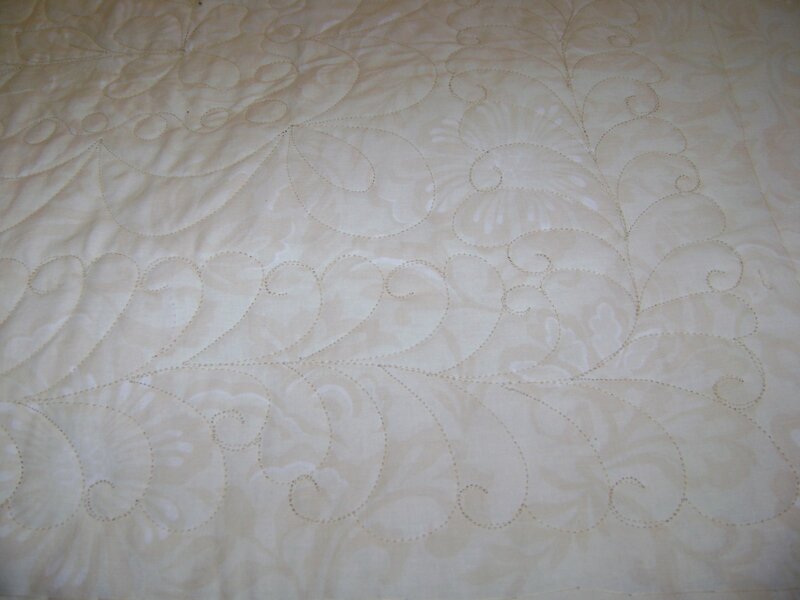 A leaf and curl design on the sashing. Feather on the outside border and a swag design on the inside border. Here are couple of views of the back. I feel like I’m moving at a snail’s pace! 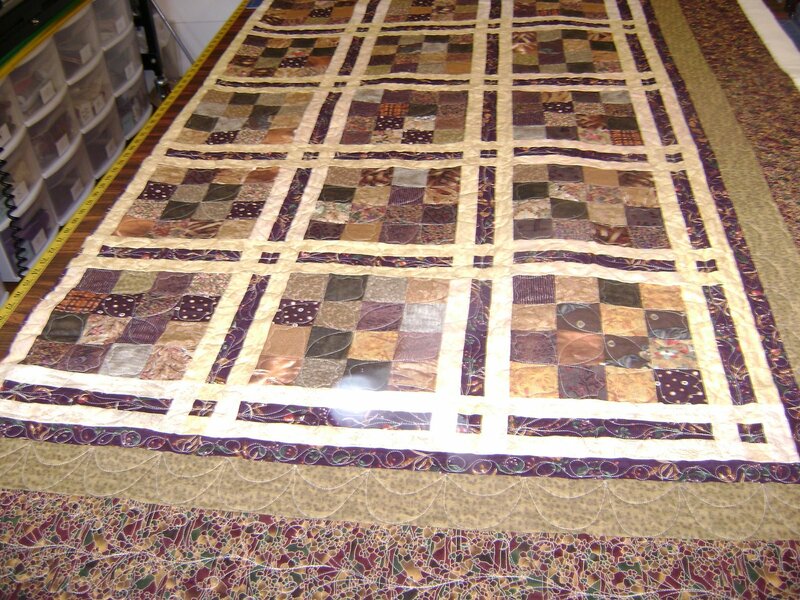 But the border is off the problem quilt. Tomorrow is a ME day. I hope…. There are times when I sit and sew while thinking of my kids. I think about how I’m waiting the arrival of my daughter’s first child any day now. Then there are times when I wish I could just stop what I’m doing…. and go get a hug from each of my kids. It’s times like today that I wish I had a car so I could visit the graves of my sons or get on the road to visit my other sons and their families. Well today, one son stopped by to visit me for awhile. I rarely get to see him because he doesn’t live here. He gives fantastic hugs! Just the right kind when I need one. I wonder how he knew I needed him to visit and hug me today? 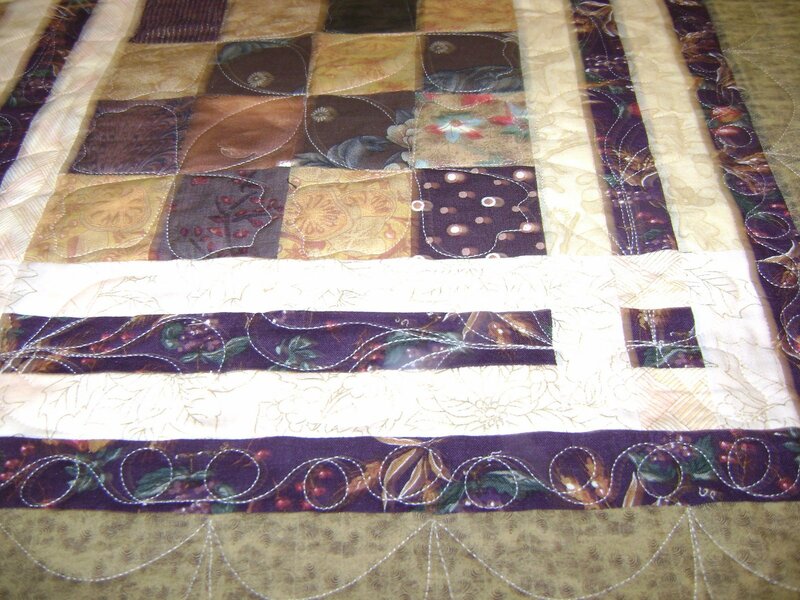 This entry was posted on January 25, 2008 by Anita in QUILTS - CUSTOMER.